Brenton is a Consultant within Nexia Edwards Marshall's Business Consulting and Taxation divisions. Brenton advises businesses in relation to taxation and business strategies. He also provides probity advice to a range of government and other organisations in relation to both major procurements and sale of assets. Brenton also provides expert reports and advice in relation to litigation matters. 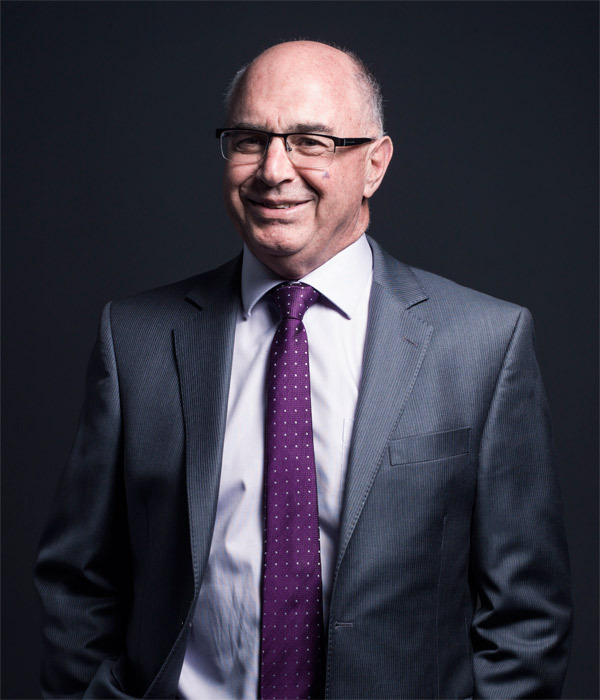 Brenton has a long history of service to the accounting and taxation profession in South Australia and a past a member of the SA Divisional Council of the Australian Institute of Company Directors. Brenton has also served for many years on the committees of various charities and sporting organisations. Brenton provides taxation advice to clients in a wide range of industries and professions. He is regularly consulted by other partners and staff in relation to complex matters. Brenton’s taxation knowledge spans more than 40 years. This knowledge base assists him in understanding and explaining the reasons behind some business structures and in avoiding pitfalls when changes are proposed. He is recognised for his ability to research, to think innovatively and to explain issues simply and concisely. Major transactions ranging from tenders for building works to sale of major assets to tendering for major service contracts are all based on the need to be able to rely on the probity of the process. Brenton is an adviser on probity to a number of government and institutional agencies. Generally, he works with the client in designing the process and attends all critical meetings to oversee the compliance with probity plans. Brenton is regularly engaged to provide reports in relation to business valuations, loss calculations and professional negligence matters. Brenton holds a Bachelor of Arts in Accountancy and is a Fellow of Chartered Accountants Australia and New Zealand, a Fellow of CPA Australia, A Fellow of The Tax Institute and a Graduate member of the Australian Institute of Company Directors. He is a Registered Tax Agent. He also has qualifications as an arbitrator and mediator. The sale and consequent dismantling of the corporate structure would have had tax consequences of about 20% of the selling price. Brenton recommended an innovative restructuring as part of preparing for sale that allowed the client to save all of the tax. A large client required assistance in preparing a tender that would account for 40% of the business turnover. Brenton provided advice and assistance on the determination and allocation of expected costs of undertaking the work and advised on the profit margin, tender price and conditions and design of the Rise & Fall price adjustments. The client was successful in winning the tender. A client was interested in pursuing an innovative joint venture arrangement with significant cash flow implications for its business. Brenton prepared a financial feasibility study and projection to assist the client and its bank in considering the opportunity. The project is expected to proceed with the support of financiers and to be highly profitable over its life. A professional adviser was being sued for negligence in relation to a transaction that allegedly had cost its client a considerable amount of capital gains tax. The transaction was alleged to cause a pre- CGT asset to become a post CGT asset and the asset was subsequently developed and sold. Brenton reviewed the transaction and researched the law. He advised that the transaction had not caused any change in the CGT status of the asset. He also calculated that the subsequent development would have meant that normal income tax would have been payable in any event. He advised that there was no loss as a result of the alleged negligence. The matter settled favourably to the professional adviser.